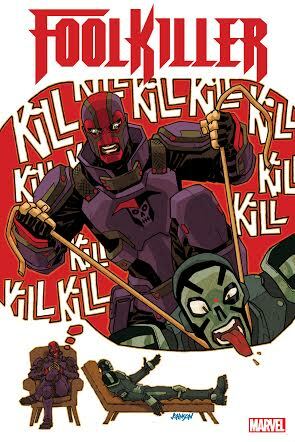 Marvel’s Foolkiller steps into the spotlight this fall with a single quest: killing fools. Traditionally armed with a barrage of armaments, Foolkiller is adding a new weapon to his holster: a psychology degree and a desire to help villains reform. Problem is, if they DON’T succeed at reforming…well, he might have to kill them.Series writer Max Bemis (X-Men: Worst X-Man Ever), accompanied with art from Dalibor Talajić (Deadpool Kills the Marvel Universe, Red Wolf), plan to take a deep dive into this antihero’s mission to help and improve the Marvel Universe, one villain at a time.